In an uncertain, ever-changing world, Anthony de Mello's simple certainties uplift the reader and offer connections to the divine. Written by one of the great spiritual masters of our time, the meditative experience of this book immerses the reader in reflections on silence, peace, happiness and prayer towards the source of true joy. The exercises in the book encourage a relinquishing of the ego, an acceptance of people as they are and a freedom from fear and anxiety. 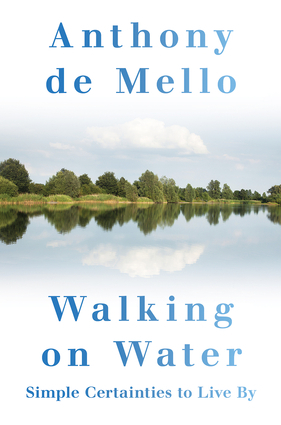 In de Mello's words, "Upheld by the divine love all around us, we feel that we too are walking on water." Anthony de Mello, S.J., was born in Bombay in 1931 and passed away in New York in 1987. He was director of the Pastoral and Formation Center in Lonavla, India. A much sought-after spiritual guide, Jesuit priest and psychotherapist, he became widely known for his books on spirituality. His books have been translated into many languages, and continue to be bestsellers today.